The winner is NL13-5306053, FIGO TOMMEKE, daughter of INBRED FIGO, B06-3148405, bred by Anton and Hilde Reynaert from brother and sister mating of National Bourges winner FIGO ! Dam is B06-3202447, SISTER TOMMEKE, also inbred to super champion FIGO, being sister of the Provincial Champion Tommeke of Lilliane Demey. 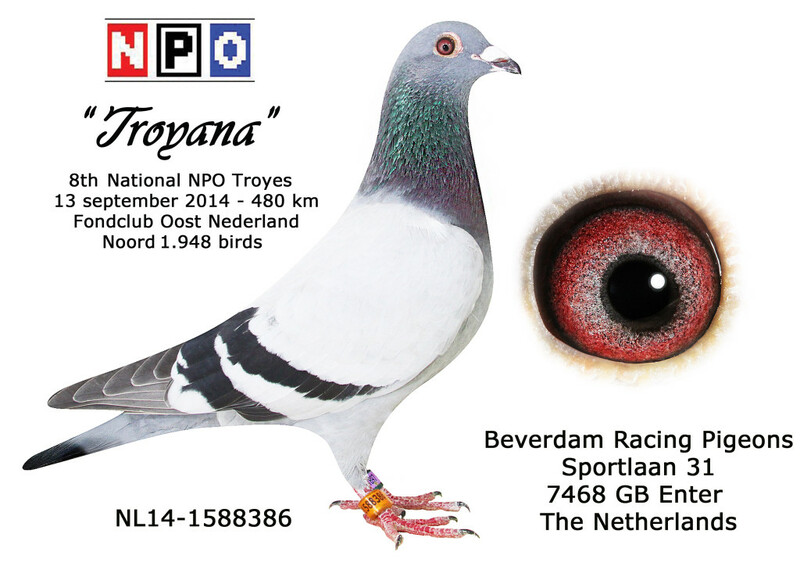 Not the first topperformer from this exceptional pair! 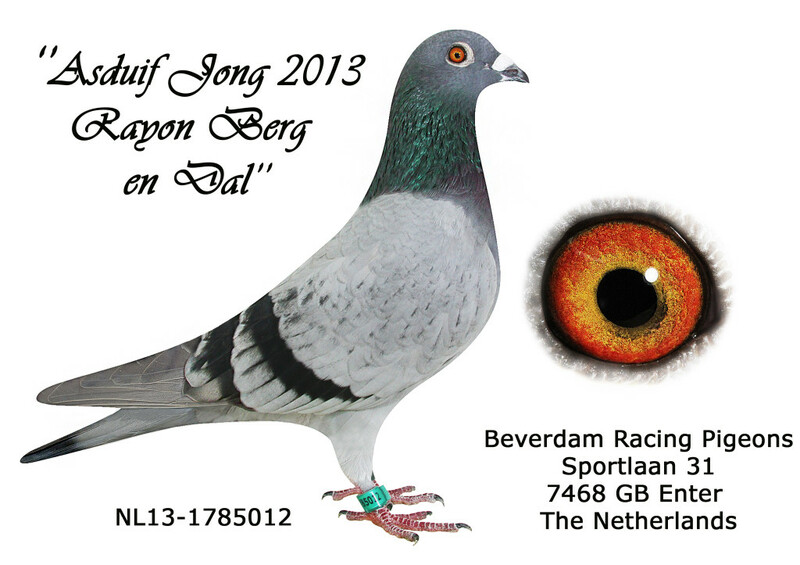 Champion Ghandi strikes again in 2013 !! 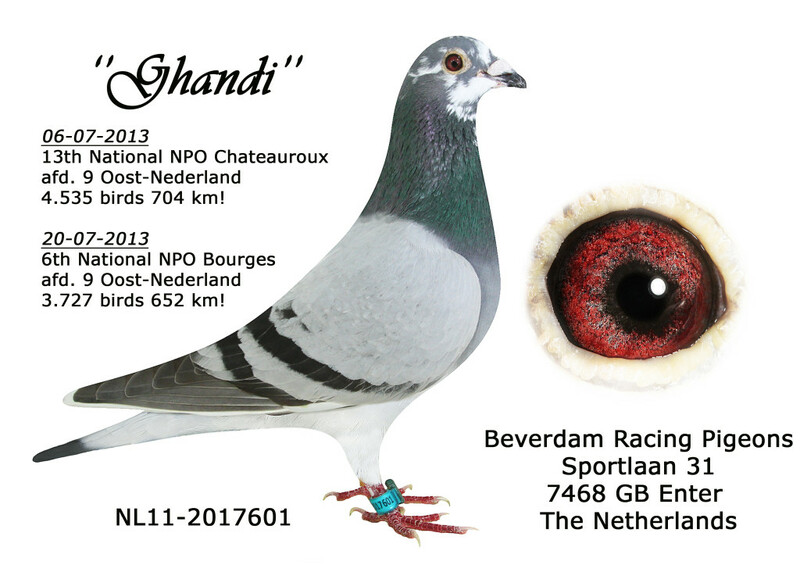 Fighting the elements headwinds, a hot day and with an overfly of 60+ kilometers and released in Chateauroux 703 km at 07.30 Ghandi landed in Enter at the Sportlaan at 18.18 recording a velocity of 1.060,720 m/m and putting himself on the top of the sheet of the Club and Federation and in the National NPO result on place 13 against 4.535 birds ! 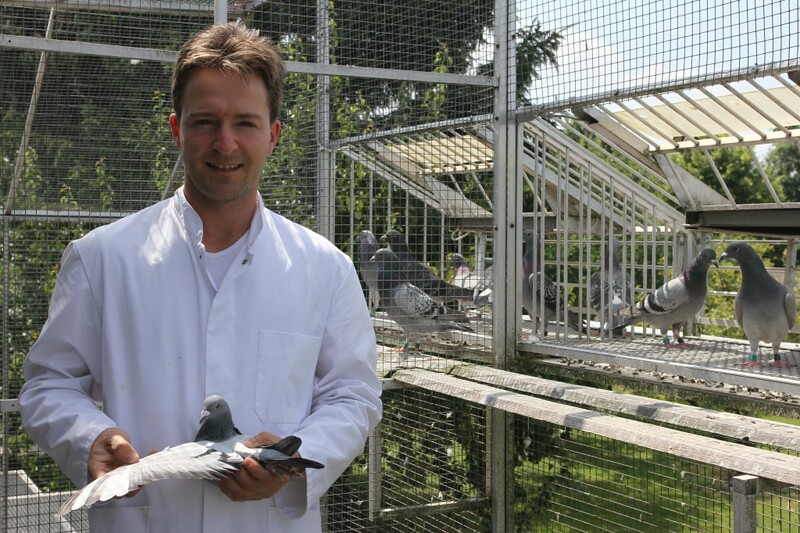 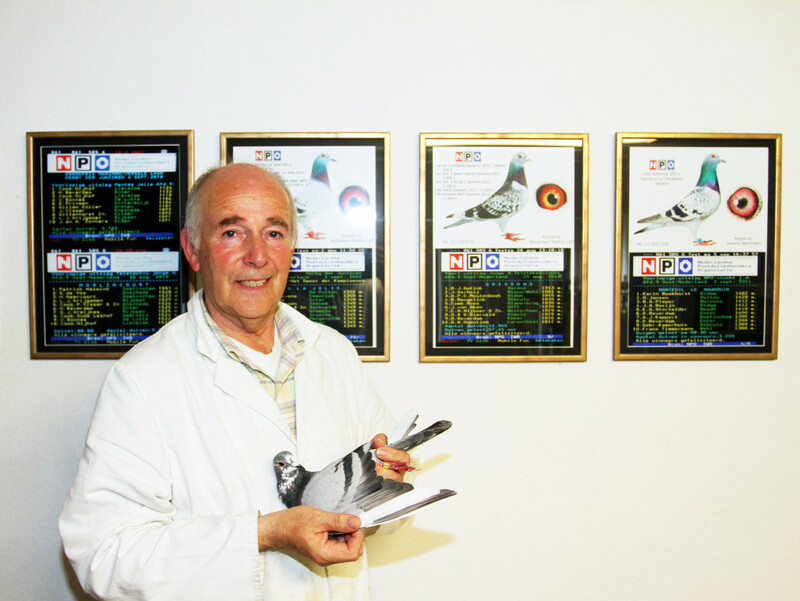 Two weeks later he was sent again to Bourges no less than 652 km from home and again all birds had another fight on to race home as also this race proved to be a real tough one! Up at 07.15 and after more than 10 hours on the wing he shot into the lofts at 17.38 velocity 1.046,755 m/m scoring again 1st Club, 1st Federation and 6th National NPO 3.737 birds ! 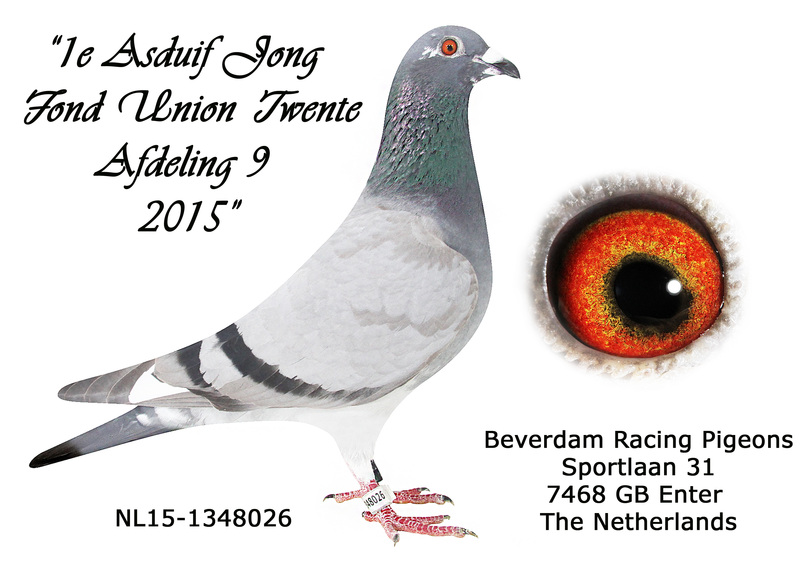 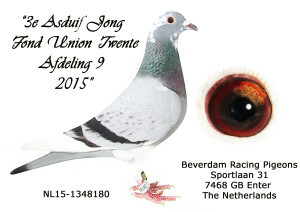 This exceptional performer is bred from SON MAGICO, 1st National Ace Middle Distance 2006 and co-winner of the National Championship Middle Distance NPO 2006, paired to a daughter of the no.1 foundation hen of Bas and Gerard Verkerk, fabulous BUBBLES, daughter of WOUNDED KNEE of Ad Schaerlaeckens. 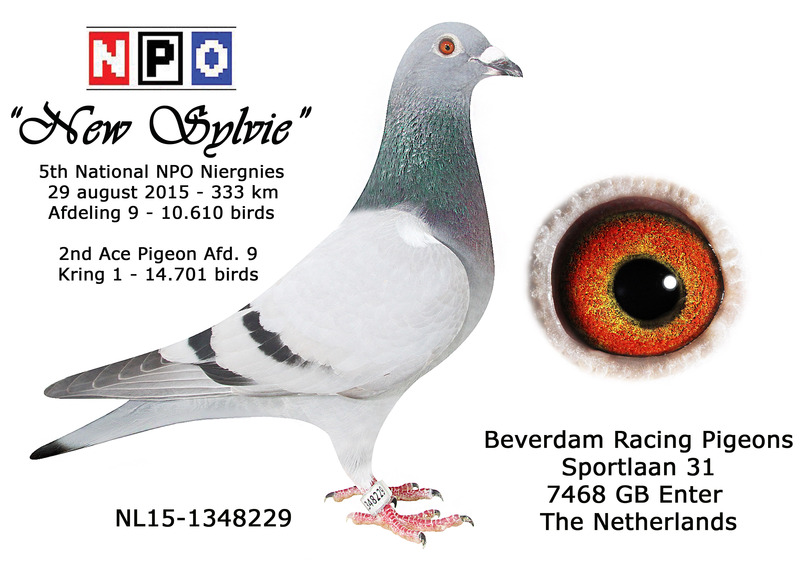 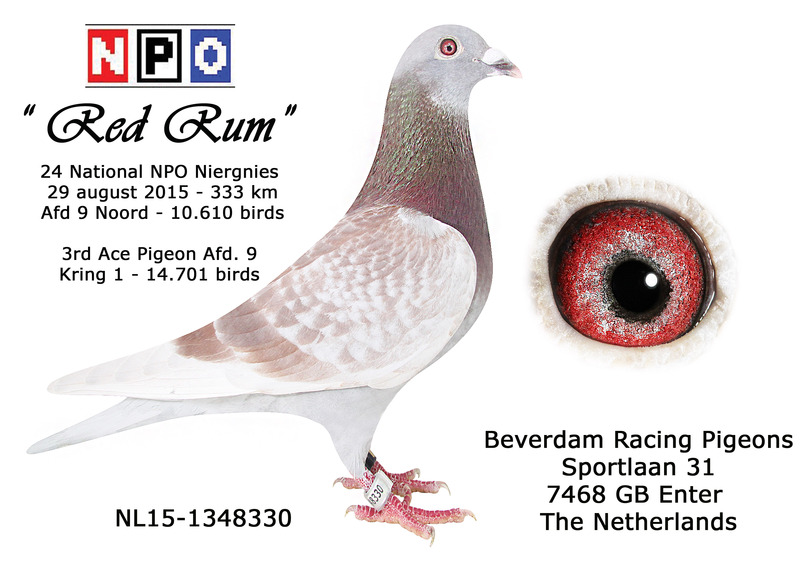 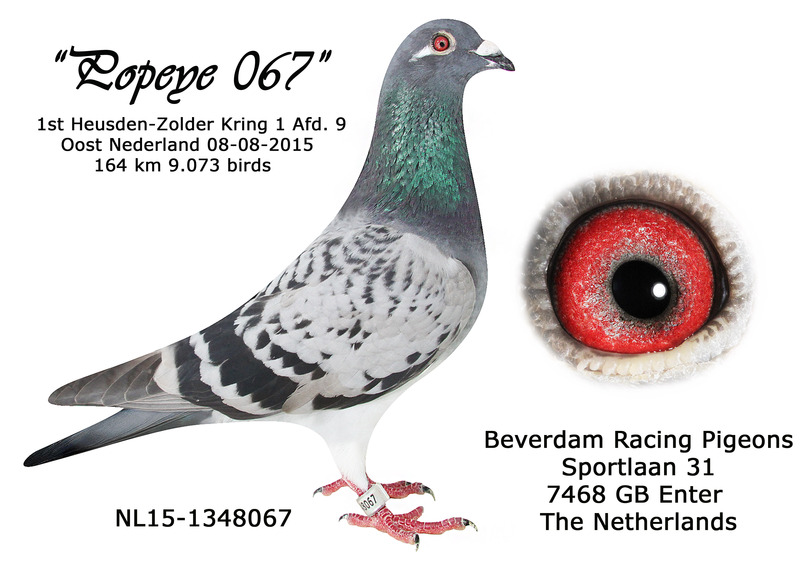 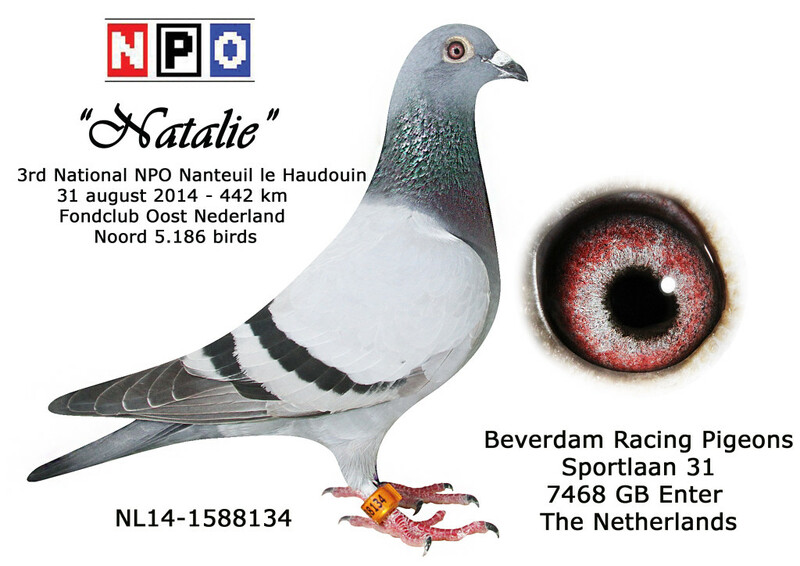 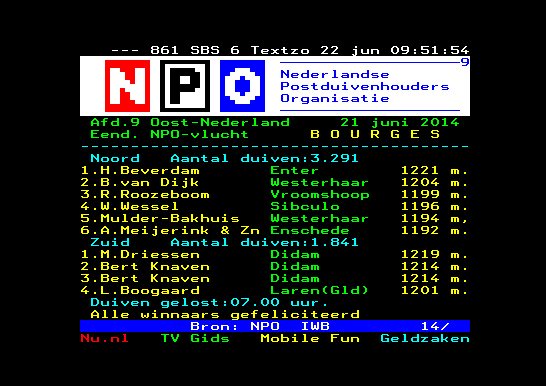 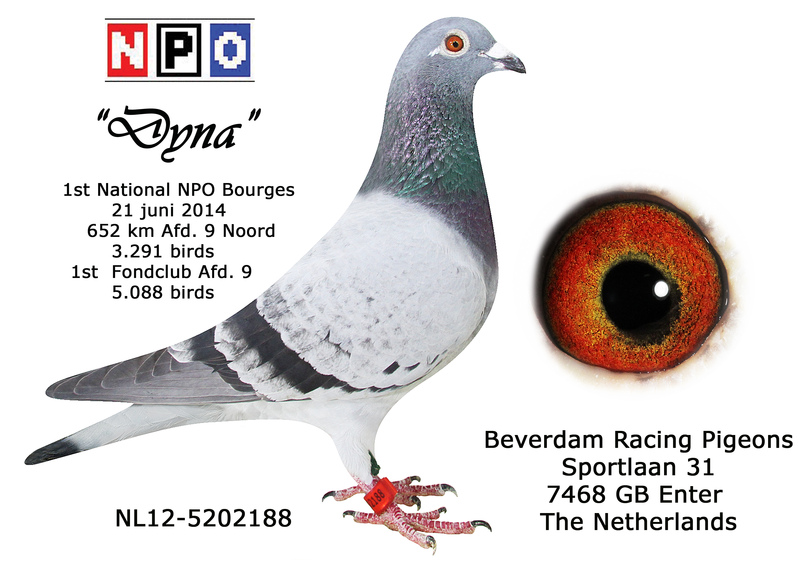 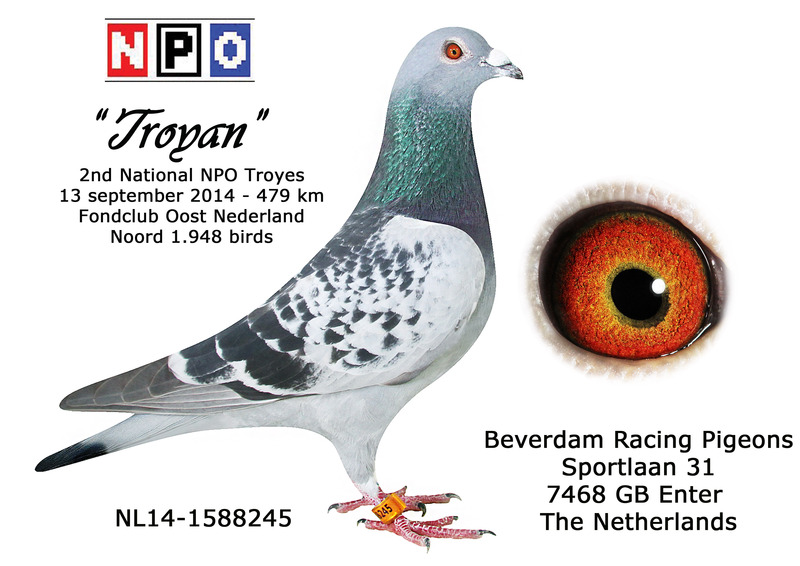 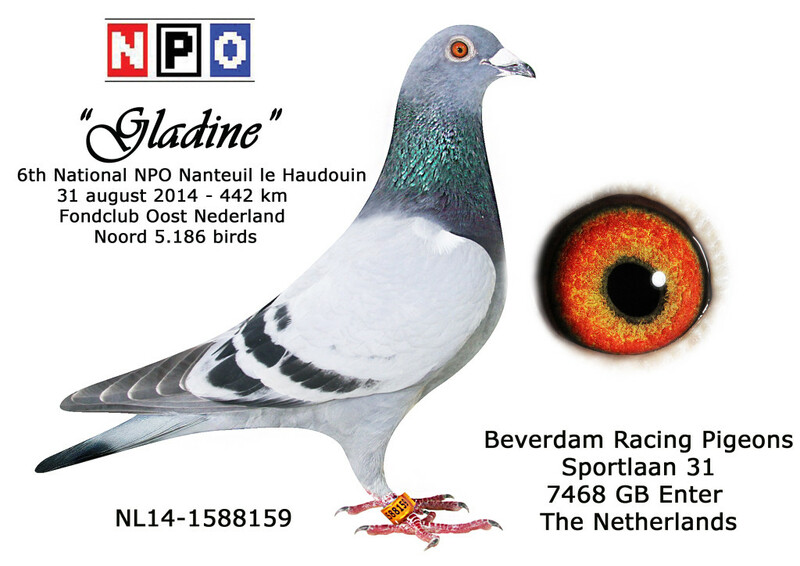 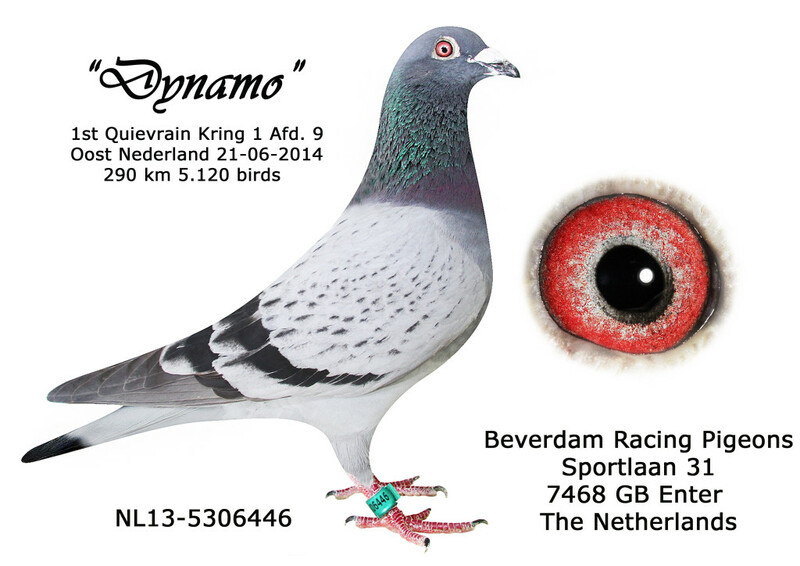 A briliant result in the National NPO races by this great champion of the Beverdam Family Loft.